You guys did a terrific job! 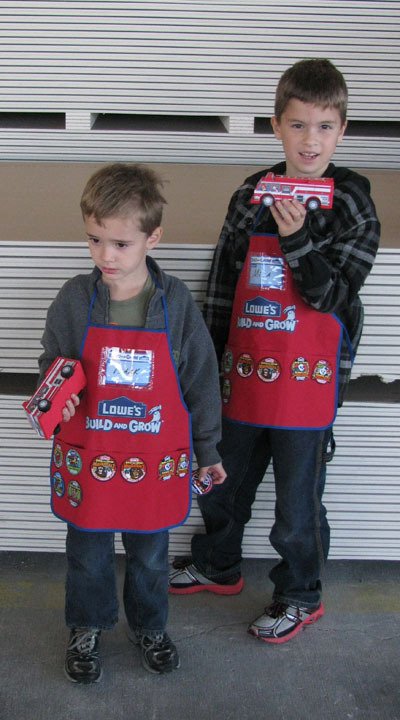 What cool aprons they have. I think it is great that Lowes offers this for kids. Not sure if ours does this.